Ironman Medical: Planning a ‘Medical Quadrathlon’ – Odyssey Medical Inc.
Swim/T1 support, arguably the most dangerous portion of a triathlon, requires a safe, organized start, on-water boat, paddleboard and lifeguard support, as well as shore-side non-urgent and urgent medical care. Personnel, equipment, communications and other logistics must be planned for, and maintained, until every last participant is safely out of the water. The medical team for the swim portion usually covers Transition 1 (T1), where swimmers change and mount their bikes. Note that when the last swimmer is out of the water, the Bike portion is already well underway. Bike support requires mobile trauma and medical response over massive distances, particularly for courses that don’t rely on multiple loops of a shorter route. Water and aid stations, course marshals, motorcycle medics, non-emergency transport vehicles, sweep vans and ambulance support, connected by a robust communications and dispatch system are the backbone of safety and medical response on this overlapping portion of the event. T2/Run Support – Transition 2 (T2) marks the end of the bike portion, and the beginning of the final leg of the event from the athlete’s perspective. 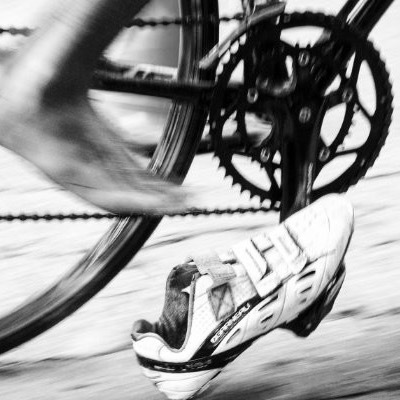 The marathon run begins when the first cyclist dismounts, and finishes when the last participant ahead of the sweep crosses the finish line, usually around midnight. The medical team at a stand-alone marathon will usually be on duty for up to 6 hours of race time. However, in a triathlon, the front and the back of the pack are pretty well spread out by the time the running portion of the event begins. When an Ironman combines a Half and Full distance on the same course, the hours of the run can extend for almost 15 hours of course coverage. That takes a few shifts and a lot of commitment. Medical coverage of the Bike and Run portions of the event overlap by many hours, with the first event finisher completing the event before the last cyclist even dismounts. Finish – What’s the fourth part of the Medical Quadrathlon? The Finish Area, which includes the actual finishing chute, as well as the main medical tent and all of the support services, vendors, sponsors, food, stages, spectators and other elements of the event’s finish. This service opens at the beginning of the event day, ready to receive athletes who end their day early for medical reasons from any portion of the swim, bike or run. The medical tent is a veritable field hospital, equipped to deal with everything from first aid to advanced resuscitation. A well-staffed and equipped medical tent will ensure that almost all of the participants are back on their feet, celebrating their day no matter where or when they finished on course. Those few who need additional investigation and treatment in a hospital setting will benefit from the advanced coordination and planning between the on-event medical team, the ambulance service and the local emergency departments. Feel free to contact crew@odysseymedical.ca if you’d like to learn about opportunities to get involved in triathlon medical coverage this season. Ironman Canada in Whistler, BC is Sunday, July 28th, 2019. Accommodations for the core team will be provided.